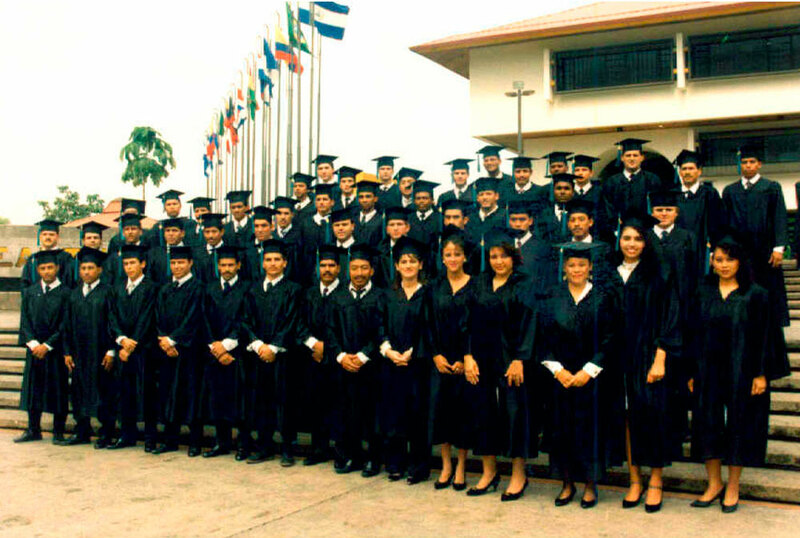 The story of EARTH University’s inaugural class starts back in 1989, at the moment each student decided to seek admission to a fledgling institution. They were united in their desire to enact positive changes in their lives, their families’ lives and their communities. At the time, most of their home countries were mired in chaos, war or political upheaval. The aspirants rejected the status quo of deep social stratification, in-fighting and disregard for the planet – the only path seemingly within reach. Instead, they shared a dream of peace and prosperity rippling throughout Central America. By believing in EARTH, they became Pioneers – the first class in what has since become a long line of change agents. 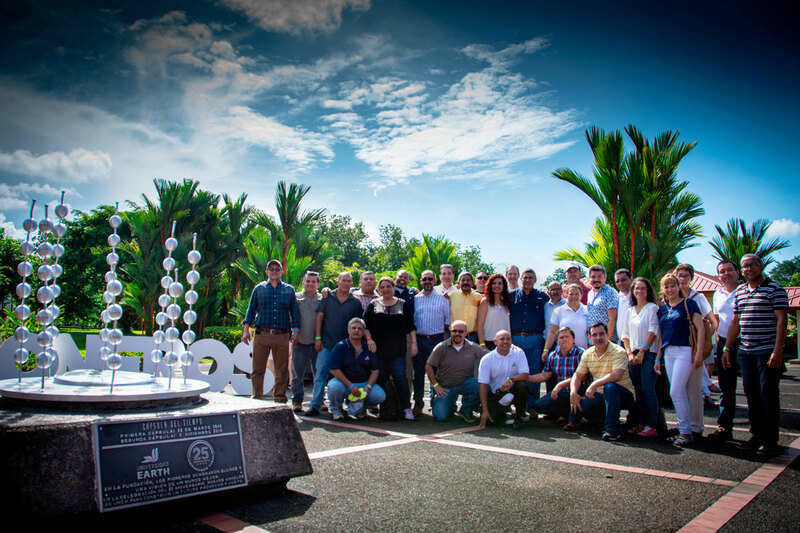 In March 1990, the selected cohort – curated for its strong ethical values and leadership potential – arrived at EARTH’s campus in Guácimo, Limón, Costa Rica. They came from Panama, Belize, Guatemala, Nicaragua, Dominican Republic, Honduras and Costa Rica – all eager to dedicate themselves to ushering in a new chapter for the region, one of sustainability, development, peace, prosperity and justice. “It was a challenge to go to a new university that nobody had yet experienced. We went as guinea pigs in a sense, but we had faith”, Crístomo Alfredo Medina (’93, Dominican Republic) said. Forty-four men and seven women comprised that graduating class of 1993. They were the ones who trialed the University’s unconventional education model and proved that it really worked. In the process, they gained the scientific, technical and entrepreneurial skills to enter the labor market and become the change they had vowed to. In time, they have had a positive impact socially, environmentally, politically and scientifically. The year 2018 marks the 25th anniversary of the completion of their studies at EARTH. To celebrate, they returned to the campus that had been their home for four years. During their visit, they relayed anecdotes, recounted group memories, proudly sang their alma mater’s anthem, and heard first-hand about President Arturo Condo’s vision for the University. They reconnected with classmates, staff and even a few faculty members they had not seen since graduation, exchanging hugs, smiles and bittersweet tears in the process. Current EARTH students showed them around campus, sharing their own dreams, and excitedly conversing with them – the larger-than-life protagonists from the historical tales and campus mythology that had been passed from one class to the next. The Pioneers found a mature university, one that over the years has been incrementally updated and renovated to overcome modern challenges through cutting-edge technology, up-to-date best practices in sustainability and more. EARTH’s cultural diversity and global impact have bloomed since the Class of 1993’s graduation. The legacy that began with them today includes 2,231 alumni from more than 40 nations. As is tradition, each class creates a graduation motto. The Pioneers’ reads “Estamos cosechando los primeros frutos”, or “We are harvesting the first fruits”. With a nod to that reflection, the University commissioned a sculpture to honor them that features a series of rings symbolizing the reciprocal commitment between EARTH and its first graduates. Within the rings are seven stalks, representing the Pioneers’ home countries, along with fruit-like spheres etched with those students’ names. Pleased with the University’s continued advancement, the Pioneers offered their insights and fresh ideas regarding new institutional proposals. They expressed their willingness to contribute in any way to upholding EARTH’s philosophy, enhancing its education model and strengthening its impact. Even after 25 years, it is crystal clear that the Pioneers’ commitment to EARTH and its mission of changing the world is as firm as the day they began.